Merino Grosso Wrap - The winter season seems to be far away, but before you know it temperatures will drop and the colder days will be here. And how nice is it to have a comfortable and warm scarf to warm yourself up? With this lovely wrap you're guaranteed to stay comfortable and warm! Continue reading for the free crochet pattern! Even though we're enjoying an 'Indian Summer', the winter season will be here before you know it. For us yarn lovers there's nothing better than the colder days to wear our self-made stylish winter sweaters, cardigans and colourful scarves (Yay!) Are you looking for a new gem to add to your winter wardrobe? This Katia Merino Grosso wrap is the perfect accessory for a fashionable look! Want to get started with this wrap as soon as possible? Order the complete crochet kit of this lovely wrap here! Do not crochet too tight, this way the wrap will stay supple. If you’re a tight crocheter then take a crochet hook a size bigger. Work with 2 strands at the same time: one thread of Katia Merino Grosso and 1 thread of Drops glitter. Spray block or steam your wrap for an extra nice result. This pattern starts at the point at the side of the wrap. Each row you’ll increase 1 stitch at the same side. 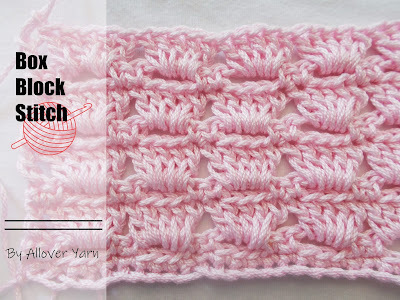 After 66 rows, so at the row with the spaces, you’ll decrease 1 stitch each row. Make sure you start decreasing when you’ve finished 4 balls. This way you’ll have enough left to finish the wrap and work a nice border around it. Row 1: Ch. 2, dc. 1. Turn your work. Row 2: Ch. 2, dc. 2 in the same st. Turn your work. Row 3: Ch. 2, dc. 2 in the first st., dc. 1 in the last st. Turn your work. Row 4: Ch. 2, dc. 1 in the first and second st., dc. 2 in the last st. Turn your work. Row 5: Ch. 2, dc. 2 in the first st., dc. 1s in the last 3 sts.. Turn your work. Row 6: Ch. 2, dc. 1 in the first 4 sts., dc. 2 in the last st. Turn your work. Row 7: Ch. 2, dc. 2 in the first st., dc. 1 in the last 5 sts.. Turn your work. Row 8: Ch. 2, dc. 1 in the first 6 sts., dc. 2 in the last st. Turn your work. Row 9: Ch. 2, dc. 2 in the first st., dc. 1 in the last 7 sts.. Turn your work. Row 10: Ch. 2, dc. 1 in the first 8 sts., dc. 2 in the last st. Turn your work. Row 11: Ch. 2, dc. 2 in the first st., dc. 1 in the last 9 sts.. Turn your work. Row 12: Ch. 2, dc. 1 in the first 10 sts., dc. 2 in the last st. Turn your work. Row 13: Ch. 2, dc. 1 in the first st., Ch. 1, dc. 1 in the next st.. *Ch. 1, skip 1 st., dc. 1 in the next st.* Repeat from *to*. Turn your work. Row 14: Ch. 2, dc. 1 in the first 12 sts., dc. 2 in the last st. Turn your work. Row 15: Ch. 2, dc. 1 in the first 13 sts., dc. 2 in the last st. Turn your work. Row 16: Ch. 2, dc. 1 in the first 14 sts., dc. 2 in the last st. Turn your work. Row 17: Ch. 2, dc. 1 in the first st., Ch. 1, dc. 1 in the next st.. *Ch. 1, skip 1 st., dc. 1 in the next st.* Repeat from *to*. Turn your work. Row 18: Ch. 2, dc. 1 in the first 16 sts., dc. 2 in the last st. Turn your work. Row 19: Ch. 2, dc. 1 in the first 17 sts., dc. 2 in the last st. Turn your work. Row 20: Ch. 2, dc. 1 in the first 18 sts., dc. 2 in the last st. Turn your work. Row 21: Ch. 2, dc. 1 in the first st., Ch. 1, dc. 1 in the next st.. *Ch. 1, skip 1 st., dc. 1 in the next st.* Repeat from *to*. Turn your work. Row 22: Ch. 2, dc. 1 in the first 20 sts., dc. 2 in the last st. Turn your work. Row 23: Ch. 2, dc. 1 in the first 21 sts., dc. 2 in the last st. Turn your work. Row 24: Ch. 2, dc. 1 in the first 22 sts., dc. 2 in the last st. Turn your work. Row 25: Ch. 2, dc. 1 in the first st., Ch. 1, dc. 1 in the next st.. *Ch. 1, skip 1 st., dc. 1 in the next st.* Repeat from *to*. Turn your work. Row 26: Ch. 2, dc. 1 in the first 24 sts., dc. 2 in the last st. Turn your work. Row 27: Ch. 2, dc. 1 in the first 25 sts., dc. 2 in the last st. Turn your work. Row 28: Ch. 2, dc. 1 in the first 26 sts., dc. 2 in the last st. Turn your work. Row 29: Ch. 2, dc. 1 in the first st., Ch. 1, dc. 1 in the next st.. *Ch. 1, skip 1 st., dc. 1 in the next st.* Repeat from *to*. Turn your work. Row 30: Ch. 2, dc. 1 in the first 28 sts., dc. 2 in the last st. Turn your work. Row 31: Ch. 2, dc. 1 in the first 29 sts., dc. 2 in the last st. Turn your work. Row 32: Ch. 2, dc. 1 in the first 30 sts., dc. 2 in the last st. Turn your work. Row 33: Ch. 2, dc. 1 in the first st., Ch. 1, dc. 1 in the next st.. *Ch. 1, skip 1 st., dc. 1 in the next st.* Repeat from *to*. Turn your work. Row 34: Ch. 2, dc. 1 in the first 32 sts., dc. 2 in the last st. Turn your work. Row 35: Ch. 2, dc. 1 in the first 33 sts., dc. 2 in the last st. Turn your work. Row 36: Ch. 2, dc. 1 in the first 34 sts., dc. 2 in the last st. Turn your work. Row 37: Ch. 2, dc. 1 in the first st., Ch. 1, dc. 1 in the next st.. *Ch. 1, skip 1 st., dc. 1 in the next st.* Repeat from *to*. Turn your work. Row 38: Ch. 2, dc. 1 in the first 36 sts., dc. 2 in the last st. Turn your work. Row 39: Ch. 2, dc. 1 in the first 37 sts., dc. 2 in the last st. Turn your work. Row 40: Ch. 2, dc. 1 in the first 38 sts., dc. 2 in the last st. Turn your work. Row 41: Ch. 2, dc. 1 in the first st., Ch. 1, dc. 1 in the next st.. *Ch. 1, skip 1 st., dc. 1 in the next st.* Repeat from *to*. Turn your work. Row 42: Ch. 2, dc. 1 in the first 40 sts., dc. 2 in the last st. Turn your work. Row 43: Ch. 2, dc. 1 in the first 41 sts., dc. 2 in the last st. Turn your work. Row 44: Ch. 2, dc. 1 in the first 42 sts., dc. 2 in the last st. Turn your work. Row 45: Ch. 2, dc. 1 in the first 43 sts., dc. 2 in the last st. Turn your work. Row 46: Ch. 2, dc. 1 in the first 44 sts., dc. 2 in the last st. Turn your work. Row 47: Ch. 2, dc. 1 in the first st., Ch. 1, dc. 1 in the next st.. *Ch. 1, skip 1 st., dc. 1 in the next st.* Repeat from *to*. Turn your work. Row 48: Ch. 2, dc. 1 in the first 46 sts., dc. 2 in the last st. Turn your work. Row 49: Ch. 2, dc. 1 in the first 47 sts., dc. 2 in the last st. Turn your work. Row 50: Ch. 2, dc. 1 in the first 48 sts., dc. 2 in the last st. Turn your work. Row 51: Ch. 2, dc. 1 in the first 49 sts., dc. 2 in the last st. Turn your work. Row 52: Ch. 2, dc. 1 in the first 50 sts., dc. 2 in the last st. Turn your work. Row 53: Ch. 2, dc. 1 in the first st., Ch. 1, dc. 1 in the next st.. *Ch. 1, skip 1 st., dc. 1 in the next st.* Repeat from *to*. Turn your work. Row 54: Ch. 2, dc. 1 in the first 52 sts., dc. 2 in the last st. Turn your work. Row 55: Ch. 2, dc. 1 in the first 53 sts., dc. 2 in the last st. Turn your work. Row 56: Ch. 2, dc. 1 in the first 54 sts., dc. 2 in the last st. Turn your work. Row 57: Ch. 2, dc. 1 in the first 55 sts., dc. 2 in the last st. Turn your work. Row 58: Ch. 2, dc. 1 in the first 56 sts., dc. 2 in the last st. Turn your work. Row 59: Ch. 2, dc. 1 in the first st., Ch. 1, dc. 1 in the next st.. *Ch. 1, skip 1 st., dc. 1 in the next st.* Repeat from *to*. Turn your work. Row 60: Ch. 2, dc. 1 in the first 58 sts., dc. 2 in the last st. Turn your work. Row 61: Ch. 2, dc. 1 in the first 59 sts., dc. 2 in the last st. Turn your work. Row 62: Ch. 2, dc. 1 in the first 60 sts., dc. 2 in the last st. Turn your work. Row 63: Ch. 2, dc. 1 in the first 61 sts., dc. 2 in the last st. Turn your work. Row 64: Ch. 2, dc. 1 in the first 62 sts., dc. 2 in the last st. Turn your work. Row 65 (middle): Ch. 2, dc. 1 in the first st., Ch. 1, dc. 1 in the next st.. *Ch. 1, skip 1 st., dc. 1 in the next st.* Repeat from *to*. Turn your work. Row 71: Ch. 2, dc. 1 in the first st., Ch. 1, dc. 1 in the next st.. *Ch. 1, skip 1 st., dc. 1 in the next st.* Repeat from *to*. Turn your work. Row 77: Ch. 2, dc. 1 in the first st., Ch. 1, dc. 1 in the next st.. *Ch. 1, skip 1 st., dc. 1 in the next st.* Repeat from *to*. Turn your work. Row 83: Ch. 2, dc. 1 in the first st., Ch. 1, dc. 1 in the next st.. *Ch. 1, skip 1 st., dc. 1 in the next st.* Repeat from *to*. Turn your work. Row 89: Ch. 2, dc. 1 in the first st., Ch. 1, dc. 1 in the next st.. *Ch. 1, skip 1 st., dc. 1 in the next st.* Repeat from *to*. Turn your work. Row 93: Ch. 2, dc. 1 in the first st., Ch. 1, dc. 1 in the next st.. *Ch. 1, skip 1 st., dc. 1 in the next st.* Repeat from *to*. Turn your work. Row 97: Ch. 2, dc. 1 in the first st., Ch. 1, dc. 1 in the next st.. *Ch. 1, skip 1 st., dc. 1 in the next st.* Repeat from *to*. Turn your work. Row 101: Ch. 2, dc. 1 in the first st., Ch. 1, dc. 1 in the next st.. *Ch. 1, skip 1 st., dc. 1 in the next st.* Repeat from *to*. Turn your work. Row 105: Ch. 2, dc. 1 in the first st., Ch. 1, dc. 1 in the next st.. *Ch. 1, skip 1 st., dc. 1 in the next st.* Repeat from *to*. Turn your work. Row 109: Ch. 2, dc. 1 in the first st., Ch. 1, dc. 1 in the next st.. *Ch. 1, skip 1 st., dc. 1 in the next st.* Repeat from *to*. Turn your work. Row 113: Ch. 2, dc. 1 in the first st., Ch. 1, dc. 1 in the next st.. *Ch. 1, skip 1 st., dc. 1 in the next st.* Repeat from *to*. Turn your work. Row 117: Ch. 2, dc. 1 in the first st., Ch. 1, dc. 1 in the next st.. *Ch. 1, skip 1 st., dc. 1 in the next st.* Repeat from *to*. Turn your work. The border:Work a round of sc. in the same colour as the wrap. Then work with Lana Grossa Bingo colour 154 and crochet hook no. 5,5mm on the pointy sides of the wrap. Row 1: Cast on a new yarn in the first st. of the point. Ch. 2, *(dc. 1, ch. 1, dc. 1) in the first st., skip 1 st.*, Repeat from *to* until the other point of the wrap and cast off. Row 2: Cast on a new yarn of colour 159 ad work in the first ch. space: Ch. 1, *(sc. 1, ch. 5, sc. 1), skip 1 st., sc. 1* Repeat from *to* until the other point of the wrap. Cast off and weave in all loose ends.